Incorporate these lovely sayings from your favorite films into your big day. There’s nothing quite like the romance of film, even if it’s not a romantic movie! (Of course, those are our favorites.) If you and your beloved are cinephiles or spend a lot of time at home cuddling and browsing through Netflix, you may want to consider incorporating aspects of certain movies into your nuptials. Our favorite way to do this without going overboard with a theme is through the use of quotations. 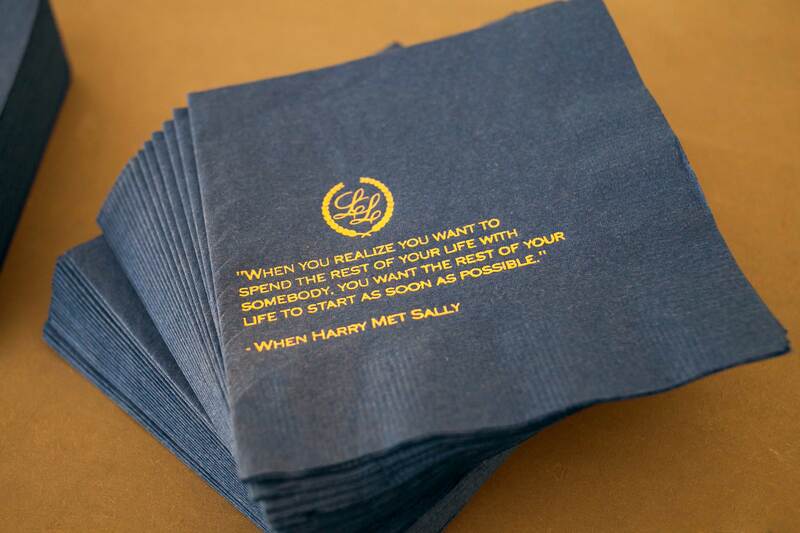 Whether through table numbers, ceremony programs, cocktail napkins, or even your vows, the right movie quote is the perfect way to add a touch of whimsical romance into your big day. Find out why you should quote literature in your ceremony and listen to nine first dance songs inspired by movies.